Rome’s historical opera houses, immense outdoor auditoriums and fully equipped theaters offer student groups a plethora of performance venues when traveling to the Eternal City. As the birthplace of opera nearly 400 years ago during the Renaissance, Italy became a hub for the cherished art form combining musical scores with the dramatic works of singers and musicians. Consequently, opera houses began popping up everywhere in cities throughout the country. Presently, Rome still accommodates many opera houses that now serve as spaces for a variety of performances. These opera houses combined with the Eternal City’s outdoor auditoriums and multipurpose theaters provide traveling student groups the opportunity for remarkable performances made for the books. For band and choir directors unsure of where to look in terms of spaces available for rent, here are our top five picks for performance venues in Rome. Auditorium Parco della Musica. Credit. As the largest multifunctional complex in Europe and one of the largest in the world, Auditorium Parco della Musica is an ideal location for band, choir and other fine arts performance groups. Designed by Renzo Piano, the complex features four concert halls seating 308, 673, 1,113 and 2,742 guests, respectively. Each concert hall comes well-appointed with its own control room and audio system; it is connected with an internal driveway to facilitate the loading and unloading of technical equipment and instruments. The auditorium features 20 dressing rooms, wide open-air areas and various gardens with a children’s playground. Located within the heart of the auditorium stands an ancient Roman villa from the 6th century, now featuring MUSA, the Museum of Music Instruments of the Accademia Nazionale di Santa Cecilia. Located about four miles northwest of Rome’s city center, the auditorium can easily be reached by bus, tram or Metro. For more information about organizing an event with Auditorium Parco della Musica, click here. Teatro dell’Opera di Roma. Credit. Arguably Rome’s most renowned opera house, Teatro dell’Opera di Roma originally opened in 1880 as the 2,212-seat Teatro Costanzi. Today, the opera house seats 1,600 and features Teatro Nazionale, Caracalla and Sala Respighi. A specialist in the building and renovation of theaters, Milanese architect Achille Sfondrini paid particular attention to the acoustics of the Costanzi, deeming the interior structure a resonance chamber that is evident within its horseshoe shape. In 1937, then Governor of Rome Piero Colonna proposed the construction of an open-air theater within the stunning archeological complex of the Baths of Caracalla (Terme di Caracalla). Today, this outdoor theater cycles eleven performances each summer and remains a site attracting visitors from around the world. Unique to Teatro dell’Opera di Roma, an exclusive tailoring service was established since the opera house’s opening, creating the costumes for the operas and ballets in programming during theater seasons. This famously lavished 19th century opera house is easily accessible and situated less than a 10 minute walk from Termini train station. For more information on rental spaces, click here. Established in 1871, Teatro Quirino was commissioned by Prince Maffeo Sciarra in hopes to make up for the lack of entertainment venues in central Rome. Given its name after the god Quirino, the theater hosted the premiere of Pietro Mascagni’s operetta Sí. Other celebrated artists that have graced the Quirino stage are Ferruccio Benini, Ettore Petrolini, Eduardo De Filippo and Vittorio Gassman. The entrance to the theater boasts a deep, beautiful foyer, cloakroom and ticket office; the theater itself seats 850 guests. History, art, glamour and beauty commemorate the Quirino and it is an ideal setting for conferences, concerts and private events. Located in the corner of Baroque and Neoclassical Rome just steps from Trevi Fountain, the theater’s prime location is ideal for student groups lodging within Rome’s historic city center. Student groups can rent out Teatro Quirino and will be assisted by a group of professionals every step of the way to meet the needs of band, choir and other performing arts groups. To make an inquiry online about theater rental, click here. 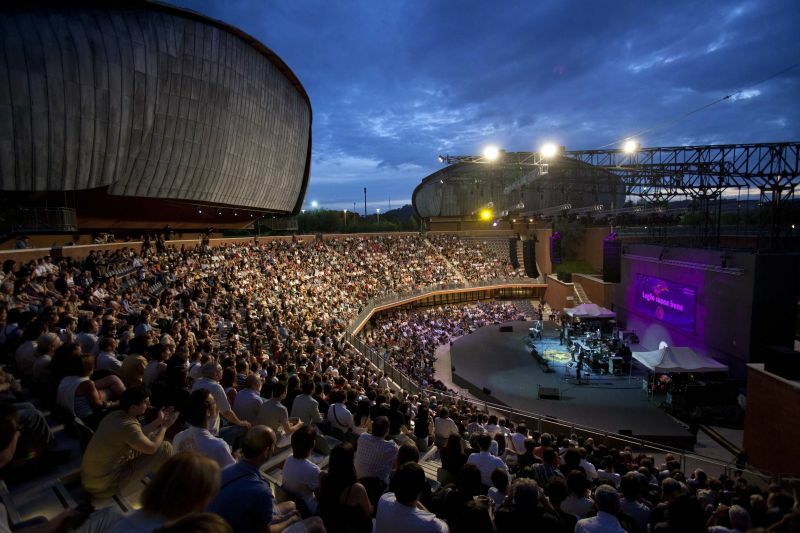 While previously mentioned performance venues such as Auditorium Parco della Musica and Teatro dell’Opera di Roma arguably provide the best state of the art equipment and largest spaces, they can come at a hefty price. Luckily, Rome has several reasonably priced performance venues available for rent for student groups. Celebrating over 30 years of performances, Teatro Vittoria offers a professionally trained administrative and technical staff offering suitable solutions to the most diverse needs of any band or choir group. The theater itself is divided into two levels: a 400-seat auditorium and a 160-seat balcony furnished with classic, comfortable red velvet armchairs. Teatro Vittoria features a large, 13-meter wide stage, air conditioning, professional sound and lighting systems and a maxi screen and video projection system, continuously updated to meet the most stringent safety standards. 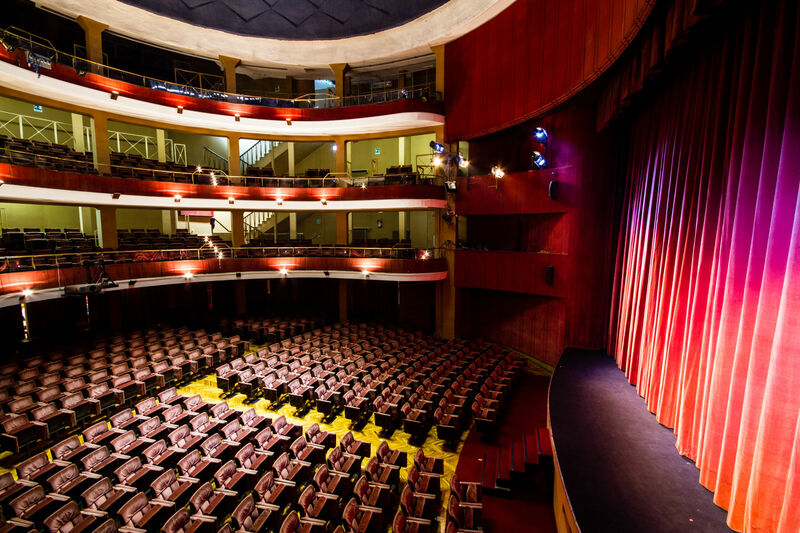 With a professional team consisting of reception and hall staff, ticketing services and audio and lighting technicians, the theater upholds the value of providing its services for the most affordable prices. For band and choir directors looking to get a quote on rental space, check out Teatro Vittoria’s website. Another affordable rental option for student performance groups, Teatro San Luigi Guanella is a brand new, 180-seat venue fully equipped with state of the art lighting, audio and multimedia systems. Teatro San Luigi Guanella even offers personalized high quality DVD video recordings of concerts and performances available for purchase and later advertised on the theater’s YouTube channel, Facebook and Twitter accounts. The venue has hosted everything from theater and musical performances, TV shoots, rehearsals, festivals and castings to conferences, seminars and book signings. Located a stone’s throw away from Vatican City, the theater can be reached by the Metro or by local buses. This multiuse space is available for rent, and details can be found here.